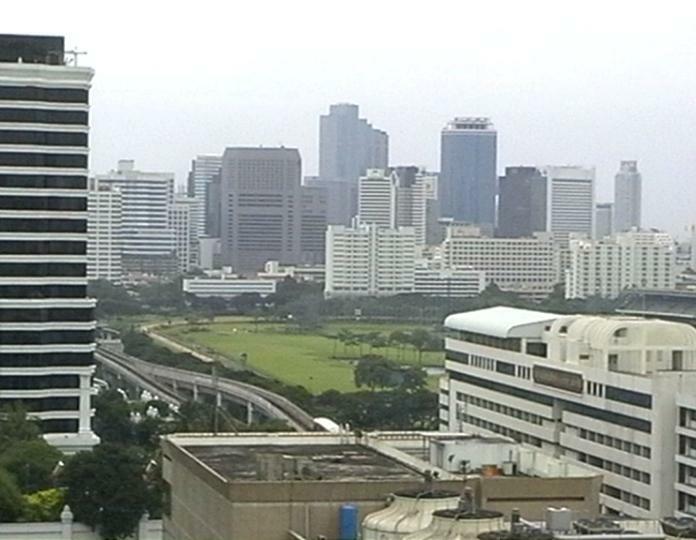 Have you ever wondered what that golf course off to the side of the BTS smack in the middle Bangkok was? Nestled in amongst the hustle and bustle of one of Southeast Asia’s busiest cities is a hidden golf gem. The Royal Bangkok Sports Club (RBSC) is an anomaly in that, it is by far the most conveniently located golf course in Bangkok, yet might be the least well known. Here is what you are missing. Located in the heart of Bangkok’s shopping and business district, the only view most people get of the Bangkok golf course is from the elevated Bangkok Sky Train. This view, while a refreshingly green contrast to the concrete jungle where the golf course sits, does no justice to the golfer. The true story lies in the golf shots the player gets to hit during a round there. While the RSBC is a private members club and a short layout by modern standards, it does not quite fit the mold of an ‘executive course’. What sets the course apart, aside from the two par fives, is that one must play every club in the bag and hit shots with a fade and a draw equally to find success. The expert player has a chance to reach half the par fours with the tee shot, however, the precision needed to do so will give pause. Out of bounds and several water hazards await the tee shot that goes slightly wayward, so laying up with a mid-iron is often the most practical option, leaving one with a short-iron second to well bunkered greens. The other half of the par fours have more traditional tee shots, with mid-iron second shots, and give the course a championship feel. As mentioned, there are two par fives; the challenging fifth and the short but dangerous ninth. The straight tee ball on nine will leave even the average player with a birdie chance but right or left finds a watery grave. The fifth is a true championship hole bordering water to the right and a large pond on the left. Two well struck shots will leave a good chance for par or birdie and give passengers on the Bangkok Sky Train a birds eye view at success. How nice! Each group is normally accompanied by a golf ball diver, who willingly strips off his shirt to retrieve any golf ball that finds the water. A hundred baht per player at the end of the day suffices as payback for the diver’s efforts. Perhaps the most unique feature at RBSC is that it meanders through an active horse racetrack. Golf balls landing on the track are given a free drop, provided they are not out of bounds. On race days, the golf course is altered to allow players a round on the holes that do not interfere with the racing. Thanks for the reprieve; I would not want to get trampled in stampede while retrieving my ball! Of all the endearing qualities offered during a round of golf at the Royal Bangkok Sports Club, certainly the constant reminder that one is playing golf in Bangkok while so many others are hard at work in the surrounding office buildings is the most satisfying!